CURVE, Pa. - The Altoona Curve, Double-A Affiliate of the Pittsburgh Pirates, announced two new additions to their front office staff ahead of the upcoming baseball season on Friday. The new staff additions in the communications and marketing departments take effect heading into the 2019 season. Annie Choiniere joins the Curve's staff as Social Media Manager after spending the 2018 campaign with the Harrisburg Senators (Double-A, Washington Nationals). In Harrisburg, she handled aspects of the Senators' social media and kids club as a marketing and community relations intern. A native of Knox, N.Y., Choiniere is a 2016 alumna of the State University of New York College at Cortland where she earned her bachelor's degree in Communications Studies. "Social media continues to grow and transform in this digital age," said Curve General Manager Derek Martin. "It has become an essential tool for all sorts of businesses, especially a Minor League Baseball team, to grow and engage with all kinds of people in a lot of unique ways. When we created this position, Annie's experience and insight is precisely what we had in mind." Michael Marcantonini comes on board with the Curve in 2019 as the Communications & Broadcasting Assistant. A native of Blue Bell, Pa., Marcantonini spent the 2018 season as a play-by-play voice and the Media Relations Assistant with the York Revolution (independent, Atlantic League). He previously worked as a play-by-play broadcaster in the California Winter League in 2018 and for the Rockford Rivets of the Northwoods League the year before. He is a 2017 graduate of Penn State University with a degree in Broadcast Journalism and served the sports director of The LION 90.7 FM during his senior year in State College. Marcantonini will join Garett Mansfield on the Curve Radio Network broadcast team this season. Marcantonini steps into Mansfield's former role with the team, which opened after Trey Wilson departed to join the Richmond Flying Squirrels (Double-A, San Francisco Giants) and Mansfield was promoted to the lead broadcast chair. "I'm looking forward to Michael joining our broadcast team and communications staff this season," said Mansfield, the Curve's Director of Communications & Broadcasting. "He brings a solid writing and broadcasting background from other teams and a university with respected track records. He'll make fine contributions on and off the airwaves in Altoona this season." 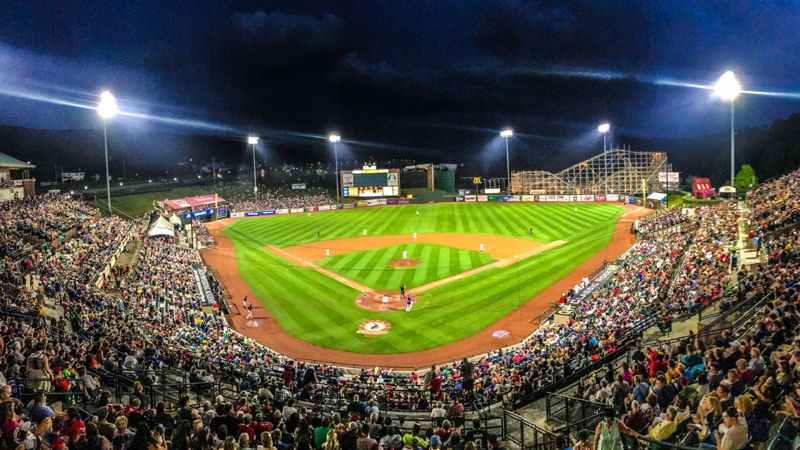 Mini Plans and Flex Books for the 2019 season are currently on sale by phone at 877.99.CURVE, online at AltoonaCurve.com or in person at the PNG Field offices. The Stockyard Team Store is open Monday through Friday from 9 a.m. to 4 p.m. and online 24/7/365.